Waterford FC owner, Lee Power with the club’s first team manager, Alan Reynolds. Photo: Noel Browne. Waterford FC owner, Lee Power, has come out in support of outgoing FAI CEO, John Delaney. In a statement released by the club last night it said, ‘Lee Power would like to go on record and thank John Delaney for his input into Lee taking over at Waterford FC. Owner Lee Power said: “John’s involvement and support to Waterford has been excellent and it needs to be put on record. “The FAI has a turnover of €50 million, when John Delaney took over it was €20.5m. JJ Lunney misses tonight’s trip to UCD through illness. Photo: Noel Browne. On the pitch, the Blues are back in SSE Airtricity League Premier Division action tonight when they travel to the UCD Bowl to take on the students at 7.45pm. 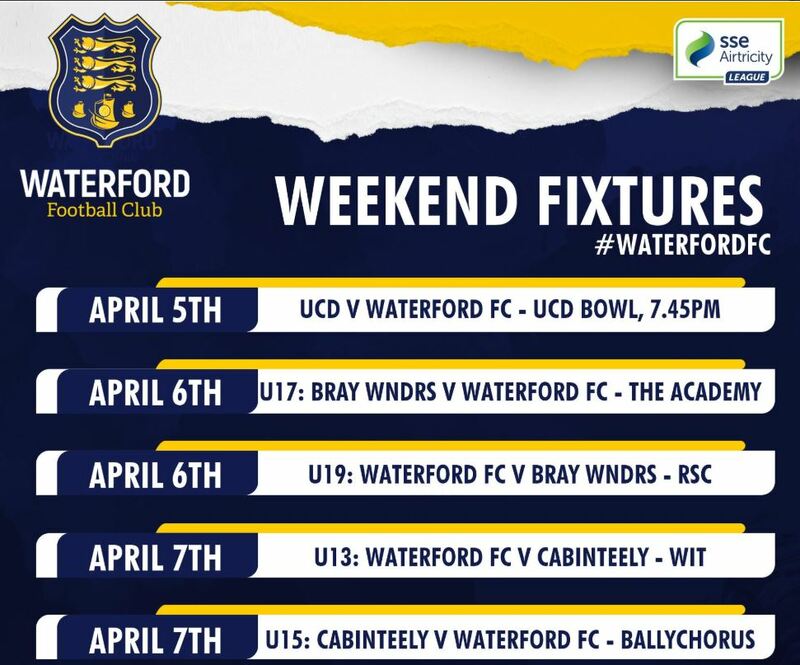 Waterford FC will look to build on recent good form when they travel to Dublin to take on UCD on Friday night in the SSE Airtricity League Premier Division. The Blues come into the game on the back of successive home wins against Finn Harps in the Premier Division and Galway United in the EA SPORTS Cup last weekend. Alan Reynolds’ side progressed to the Quarter Finals of the EA SPORTS Cup on Monday night after an 2-1 victory over Galway United. Dean Walsh scored his second goal in two games and had the Blues leading at the break before Jeff McGowan levelled before the hour mark. Cory Galvin scored the winning goal midway through the second half with an excellent strike from 25-yards. 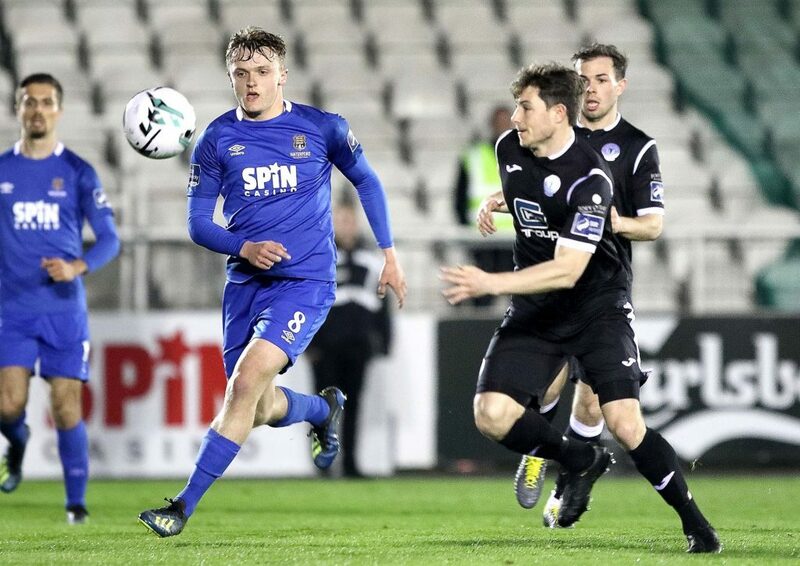 The last trip to the UCD Bowl came back in September 2018, when the Blues fell to a 2-1 defeat in the FAI Cup; the last victory over the students in Belfield came back in 2017. “I’m happy to get into the next round [of the EA SPORTS Cup] and really happy that some lads that haven’t played too much in the last few weeks got a run out too. “We did well to beat Finn Harps and then Galway on Monday and that’s the form we need to carry with us. There’s a long way to go but we’re just looking to build on each game as it comes. Rory Feely, Maxim Kouogun and Kenny Browne are injured; JJ Lunney misses out through illness. It is another busy weekend for the club. Here’s the full list of fixtures for the club’s senior and underage teams.